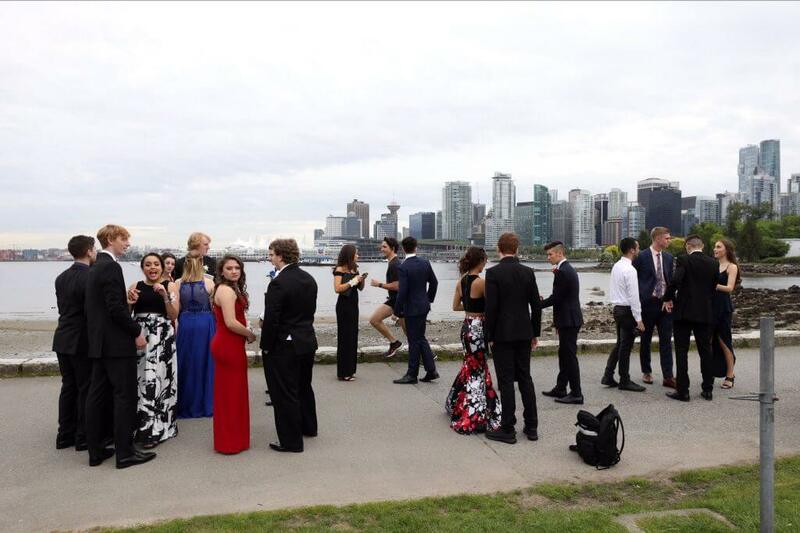 Trudeau jogs past Vancouver promgoers. Photo courtesy of Adam Scotti. It’s been less of a media circus around Trudeau, and more of a media celebration. It’s hard to see when we should be genuinely applauding him and when we’re just swooning over a Ken doll with half-decent politics—because our leader seems so much better than the alternative. “When you’re as photogenic as Justin Trudeau, the camera seems to find you,” reads one Montreal Gazette article on the PM’s latest photobomb. It features a running Trudeau with a group of promgoers in Vancouver. Except, the camera didn’t just seem to find him. The photo in question was taken by Trudeau’s personal photographer Adam Scotti as part of a project to document the runs the pair go on and people they see throughout. Despite all of this, the photo of bright, young, smiling—and mostly white—faces with our too-handsome-to-hate PM has circulated both in Canadian and international media, receiving plenty of awws. In fact, it’s easy to say that coverage of Trudeau’s many photobombs—like the one taken at a B.C. couple’s beach wedding, shirtless and all—is more widespread than coverage of his failed promises. Then there are the photo-ops at Pride parades, 2015 coverage of an old clip of Trudeau’s Bhangra dancing skills, and Vanity Fair photo shoots. Though it’s hard to resist smiling—after all, the feel-good news about Trudeau feels really good in comparison to all the disappointing and scary news coming from our neighbours to the south—the need to be critical remains as important as ever in Canada. The publicity stunts are just that: publicity stunts. From a PR perspective, Trudeau should get an A for his clever and subtle ways of seizing every possible photo opportunity. But the photobombing and cute close-ups of his progressive fashion choice are getting old. Trudeau’s media presence gets a C-minus. Step your game up, Prime Minister: You’re running a country, not an Instagram account.